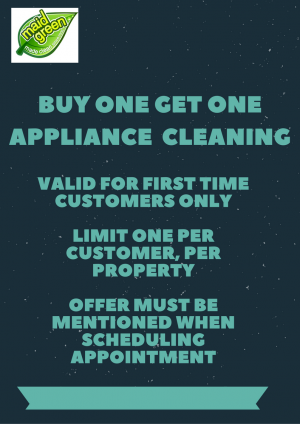 BUY ONE , GET ONE FREE INTERIOR APPLIANCE CLEANING! Purchase on interior appliance cleaning, and receive an additional appliance cleaning for free. Coupons Limit one per customer, per property. Offer must be mentioned when scheduling appointment. Offer valid for interior refrigerator or oven only.